When Samsung launched its Galaxy S6 back in March, I was convinced it was going to be the best camera smartphone of 2015. Since then, the S6 has grabbed first place in the DxOMark Mobile rankings, confirming that in terms of image quality the Samsung is tough to beat. However, in the smartphone sector things are moving fast. LG, Korea’s number-two consumer electronics maker, has launched its new flagship smartphone, the G4, making me wonder if my judgement was premature. Like the Galaxy S6, the G4 uses a 16MP 1/2.6-inch CMOS sensor that is slightly larger than the 1/3-inch chips found in Apple’s iPhones and many other smartphones, but at F1.8 its lens is even faster than the Galaxy’s F1.9 and the 3-axis optical image stabilisation system offers a two-degree range, making it one of the best in the smartphone business. The contrast detect autofocus is supported by a laser sensor and in addition, the G4 comes with a new camera feature that we’ve not seen on smartphones before: a colour spectrum sensor that reads infrared light in order to recognise objects and RGB information to analyse their colour. The data is then used to optimise white balance and colour processing.For those who like to capture the occasional self-portrait, a front 8MP sensor is combined with an F2.0 lens. Innovation is not limited to the camera hardware. The stock camera app has received a complete overhaul and, thanks to full support of Android 5.1’s Camera2 API, offers full manual control over ISO, white balance and shutter speed, allowing for long exposures. Additionally, you get the option to save DNG Raw files, allowing for post-capture image parameter fine-tuning in Adobe Lightroom or another Raw processor. With a startup time of only 0.6 seconds, the camera is ready to shoot very quickly, allowing you to capture that decisive moment. To ensure you’ve got enough storage for those 16MP Raw files and 4K videos, the G4 comes with 32GB of internal memory that is expandable via a MicroSD card slot. The IPS Quantum Quad HD display offers the same 2560 x 1440 resolution as before, but comes with improved contrast and colour, which should make it ideal for image framing and viewing. 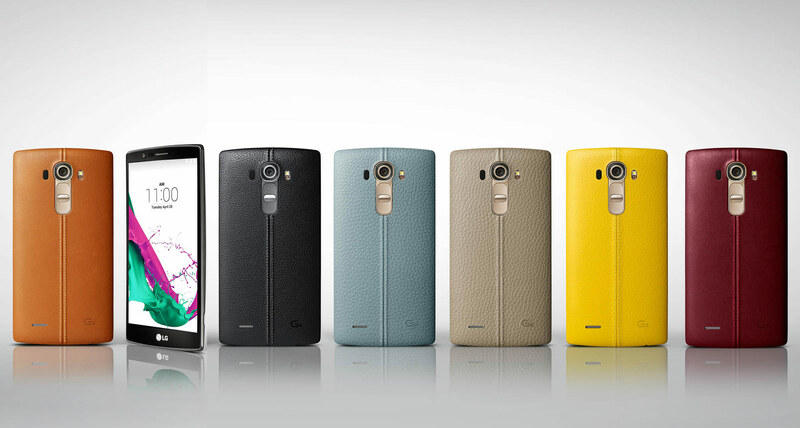 To top things off, an optional leather back gives the G4 a real camera look and feel. First image samples look promising, but we’ll have to wait for the first meaningful reviews to appear before we can make a final judgement. Nevertheless, it’s fair to say that on paper the G4 already looks like the current king of smartphone cameras, and a worthy alternative to the more established competition from Apple and Samsung.